Looking for tips and tricks to get your inventory shipshape? 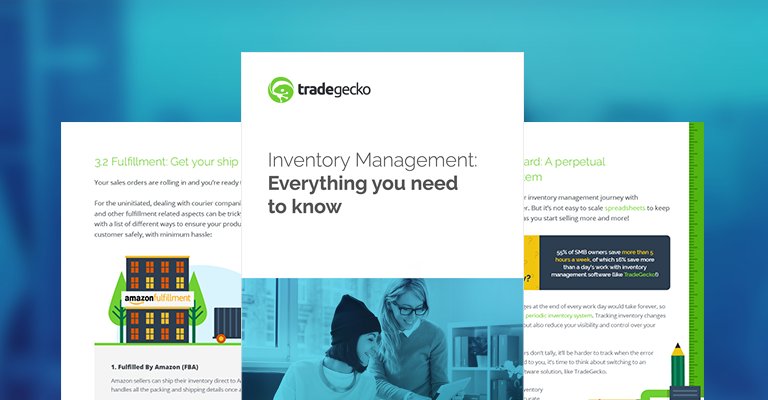 We answer all your questions about inventory management in this eBook. What’s a SKU and what are some best practices around them? It's in here.! How to keep a healthy inventory? Look no further! This eBook covers all kinds of inventory management topics like Economic Order Quantity, KPIs and inventory metrics, and other topics that keep your business running smoothly. We’re taking a deeper dive into the inventory management concepts introduced in Getting Started (remember the Pareto principle?) and introducing new ones (like dead stock). We’ve also got a whole section dedicated to going multichannel and fulfillment - along with nine metrics to measure the success of your business. With Everything you need to know, you’ll be all ready to take your business to new heights! It doesn’t matter if you’re a bright-eyed hopeful taking your first steps into the wonderful world of running a retail business, or if you’re a seasoned veteran who’s looking to up your wholesale eCommerce game - there’s something in this eBook for you.